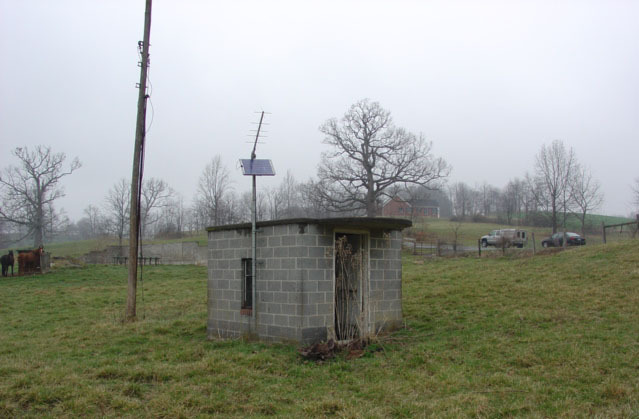 Observation well 27F2 SOW 019, located in Christiansburg, Va., is sensitive to teleseismic waves generated by large earthquakes (usually greater than magnitude 6.0) that occur around the world. This well is 450 feet deep, finished in carbonate rocks of the Elbrook Formation, and water enters the well via fractures or cracks in the rock. 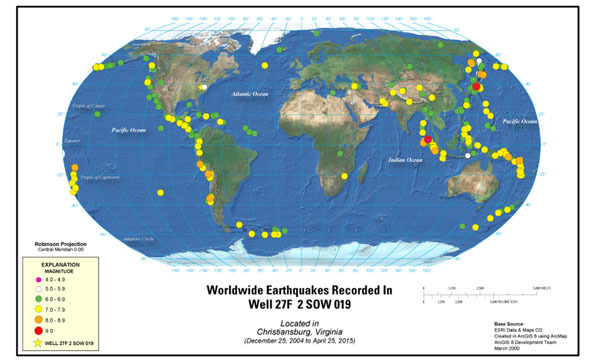 Compression and expansion of these fractures by seismic waves cause the water to be drawn in and out of the well, similar to the way bellows work. As ground water moves in and out of the well, the water level in the well rapidly rises and falls. 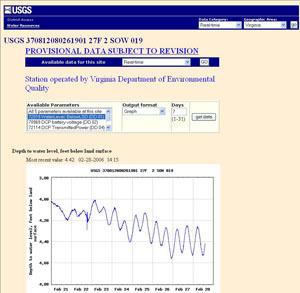 This water-level oscillation is recorded at 5-minute intervals by a pressure transducer and data logger maintained by the Virginia Department of Environmental Quality. 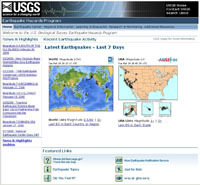 Every hour, these data are transmitted via satellite to a computer located at the U.S. Geological Survey Virginia Water Science Center in Richmond, Va. Below is a list of recent earthquakes that caused a water-level response in this well. 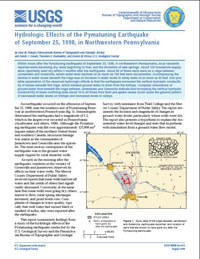 Click on the location link in the table below to see a hydrograph of the response. Note that the diurnal cycles in the water-level record are not in response to earthquakes, but are the effects of earth tides. Click on the image to the right for a larger version. Earth tides are a phenomenon similar to ocean tides, but affect our solid earth rather than ocean water levels. 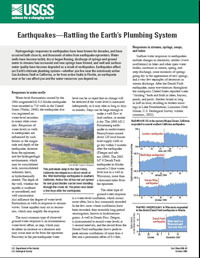 Earth tides and even changes in barometric pressure can effect the water levels in some wells. 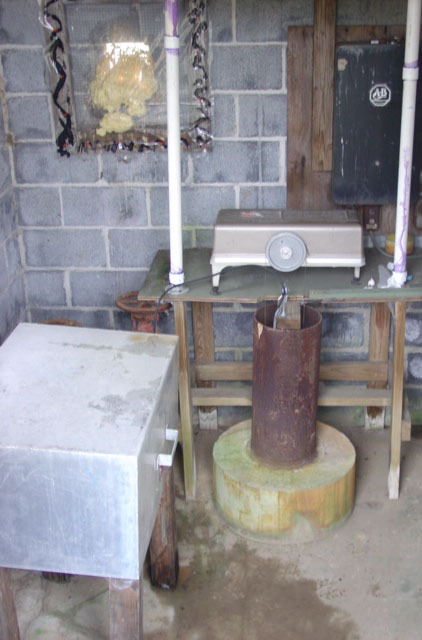 Water levels in the Christiansburg well are "raw data", and thus are not adjusted for these effects.